Mr. Parker has dedicated his time to contract administration almost exclusively. He has completed contract administration on construction totaling over $350,000,000. He has continued to increase his knowledge of construction methods and materials by taking numerous courses offered by continuing education sources. He is an ACI Certified Concrete Construction Inspector and a GCPA Structural Masonry specialist. Mr. Parker also possesses certifications from NPDES for Erosion and Sediment Control and Certified Craftsman from the Mohawk Group for Carpet Installation. Mr. Parker is a past president of the Middle Georgia Chapter of the American Institute of Architects and is a member of the National American Institute of Architects. Civic responsibilities to youth and education resulted in his being a Board Member of North Macon Youth Association. Mr. Parker is presently on the board of the Macon Touchdown Club, where he serves on the Scholarship Committee. Mr. Parker served on the Board of Windsor Academy and is a past president of Tattnall Academy Football Boosters. 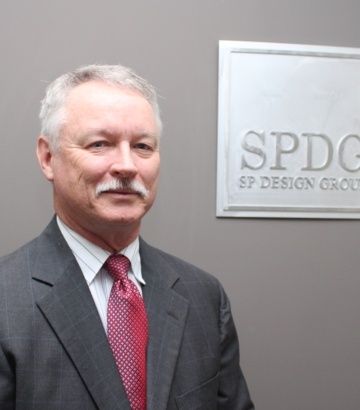 As a committee member for the Central GA US Green Building Council Chapter, he continues to learn more about sustainable design and how it can benefit our clients and the community. He is a member of Mt. Zion Baptist Church. and an Event Committee member for the Ronald McDonald house.